I recently posted on one of my new sponsors, Celtic Curves, this is the other half of Duncan's business--his wife's antiques business, Isabeau. 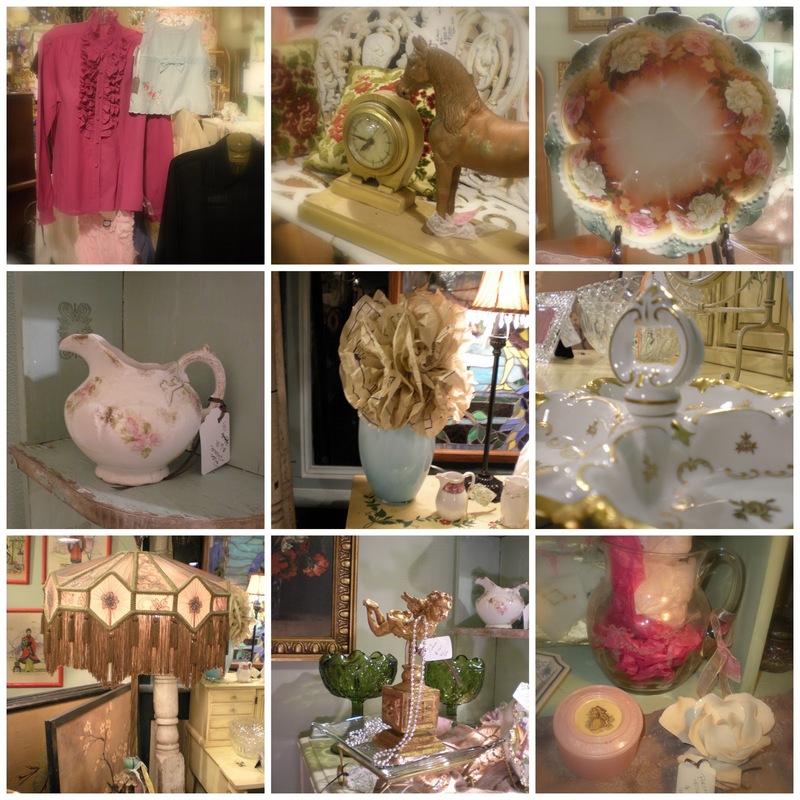 She carries an array of shabby chic, romantic, cottage, and French furniture, jewelry, clothing, and home décor. I'm trying to have her let me do a photo shoot at her beautifully decorated home! Maybe I'll get my way sooner than later! The last time I was in her shop (about two days after I snapped these photos) a lady snatched up nearly all of her vintage clothes! Brenda really has an eye for selecting beautiful items in her shop. She follows the rule of only buying things she would have in her own home. I love this horse clock. She has it sitting on perfectly crusty white period Victorian cast-iron settee. Her well edited choice of home accessories and wonderful prices make shopping easy! You can find just what you never knew you always wanted and not have to break the bank! Hand painted floral china is one of her favorites. This is one of the lamps her husband, Duncan of Celtic Curves, restored. Look at that silk shade! I hope you have enjoyed this look at the beautiful items found at Isabeau. Her shop is located within The Oak Antique Mall, 400 North Sycamore Street, Petersburg, VA 23803. Open 7 Days a week 10 - 6 Monday - Saturday and Noon - 6 Sunday. Open until 10 pm on the second Friday of the month. 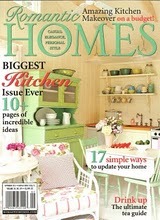 Check back soon for more pretties, including my unexpected kitchen remodel! Gotta love water leaks! Disclaimer: Mutual Advertisement was received for this post. No monetary compensation was exchanged.